The Chinese Proficiency Test HSK (汉语水平考试) is China’s national standardised test designed and developed by the HSK Centers around the world to assess the Chinese language proficiency of non-native speakers (including foreigners, overseas Chinese and students from Chinese national minorities). The new HSK exam combines the advantages of the original HSK while taking into consideration recent trends in Chinese language training by conducting surveys and making use of the latest findings in international language testing. A free mock test will be arranged for students who would like to take HSK and attending the preparatory class at Han Hai Language Studio. Based on the mock test result, we will recommend the targeted level and advise you on the number of hours needed to prepare for this Chinese test. Prepare yourself exclusively for the HSK exam by focusing on the areas you know you need to improve. This HSK 1 on 1 class is suitable for the individual who needs full attention from the teacher and enjoy the flexibility of class schedule. Following your own learning speed, Han Hai's 1-on-1 HSK Private Tutoring is the most flexible and personalised option to prepare yourself fully for the HSK test. The small Group HSK Preparatory Class are available during the weekday evenings or on Saturday mornings. Class size is between 2 to 6 pax only. 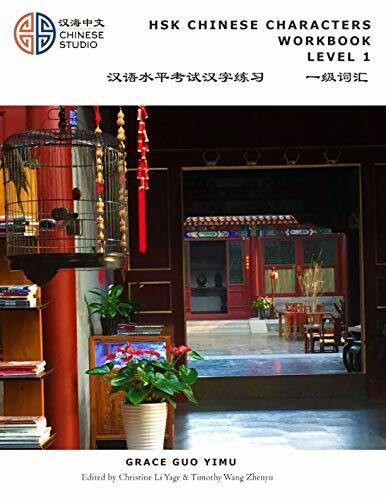 For Characters Writing, we recommend you get started with this HSK Level 1 Workbook.